$601 | $547 | Call! $652 | $593 | Call! $732 | $665 | Call! $858 | $780 | Call! $1027 | $934 | Call! 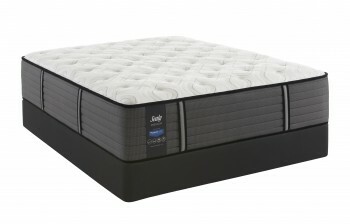 The Sealy Response Essentials Intermission Plush Eurotop Mattress has an overall Comfort Scale rating of 60. The Sealy Cushion Extra Soft Foam gives the mattress a softer feel than the other firm entry-level mattresses in the Essentials Collection. You’ll sleep peacefully on the Response Essentials Intermission Cushion Plush Eurotop Mattress as the foam contours to your every curve while still providing the firm support your lower back needs. Categories: Comfort Level 60, Mattresses, Plush, Sealy, Sealy Response, Sealy Response Essentials. 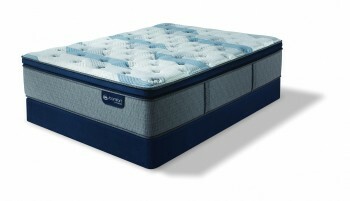 The Sealy Response Essentials Intermission Plush Eurotop Mattress has an overall Comfort Scale rating of 60. They built the Intermission from the bottom up, starting with a 1 inch layer of Sealy Support Firm Foam underneath of the Response Coil System. Around the entire mattress the SolidEdge HD System provides firm support and creating a consistent sleep surface, edge to edge. While 1 inch of Sealy Support Firm Foam adds to the supportive structure, the 2 inches Sealy Cushion Extra Soft Foam give the mattress a softer feel than the other firm entry-level mattresses in the Essentials Collection. You’ll sleep peacefully while the foam contours to your every curve while still providing the firm support your lower back needs. You’ll sleep soundly on the Intermission Cushion Plush Eurotop Mattress knowing that all the foam used to build it is CertiPUR-US certified. Stretch Knit Cover – Is a stretchy thin knit cover that provides smooth, even comfort throughout the surface of the mattress. SealyCushion Extra Soft Foam – This high quality extra soft foam is used in the quilt and comfort layers and provides a soft, supportive, enveloping feel. SealySupport Firm Foam – Is a high quality firmer support foam that is used in all Sealy Response Innerspring Mattresses. 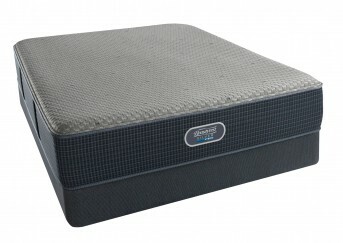 This foam gives a solid supportive feel and increases the durability of the mattress. Response Coil System (Coil Density 638) – Uses an exclusive tied coil design which uniquely contours the curvatures of your body while providing balanced, deep down support and motion separation. SolidEdge HD System – The SolidEdge HD System is a foam encasement that reinforces the border around the mattress so you can use the entire surface of the mattress up to the very edge without rolling or sliding off the mattress.